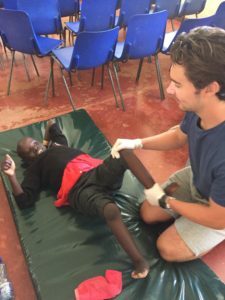 On 25 October, a new physiotherapy room, funded by generous donations from Oundle School and in particular, staff, parents and pupils (past and present) of New House was officially opened when Kivuli Trustees, Ryan Pape and Liz Turnbull were visiting. Funds raised by the school also helped to kit out the new room with parallel bars, standing frames and floor mats. 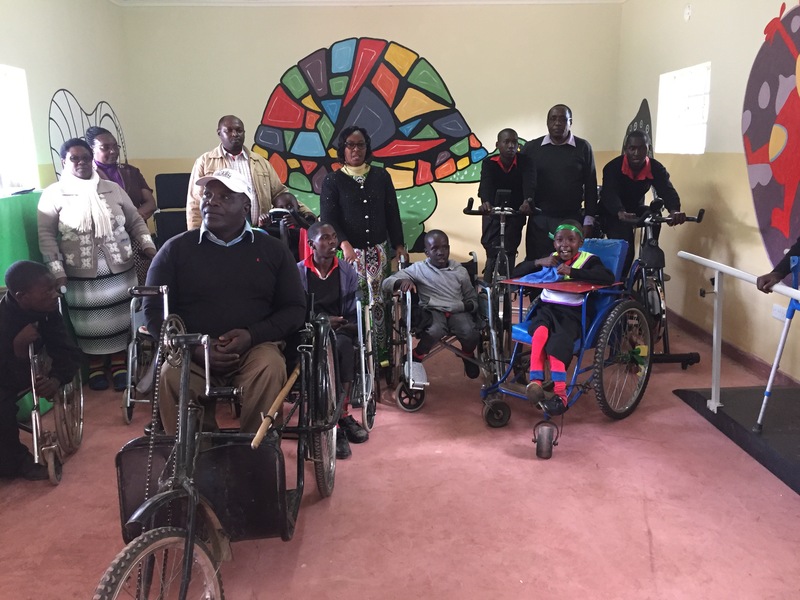 A further generous donation from the Lions Club of Germany enabled the purchase of static bikes, treatment couches and wheelchairs. 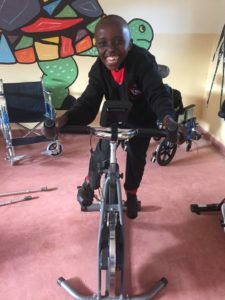 Thanks to the generosity of Barny Dillarstone, Andrew Callow and Hugo Laffey (with their epic Three Peaks Challenge earlier in the year (see previous story)), senior physiotherapist, John Mwangi from Gilgil Hospital has been working with a number of the children with a variety of disabilities including cerebral palsy, spina bifida and down’s syndrome. 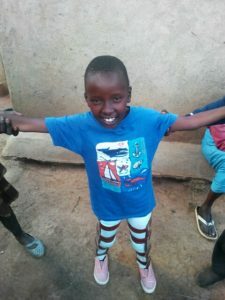 Staff at Gilgil Special School are already noticing a huge improvement in the children’s abilities and would like to thank everyone who has made this dream a reality.